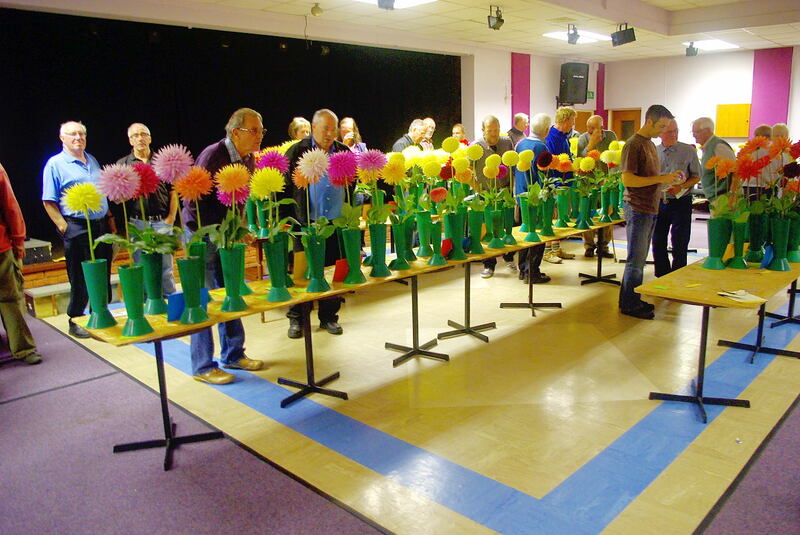 With the the sun shining, the evening saw 27 exhibitors stage over 200 vases at this first Midlands show of the year. This is the biggest entry for 5 years. 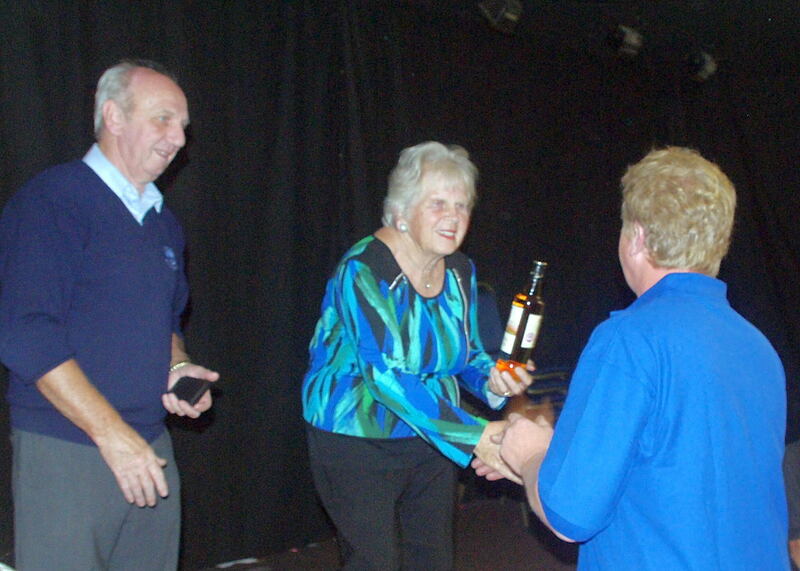 The prizes were evenly spread, several new exhibitors being awarded prizes. 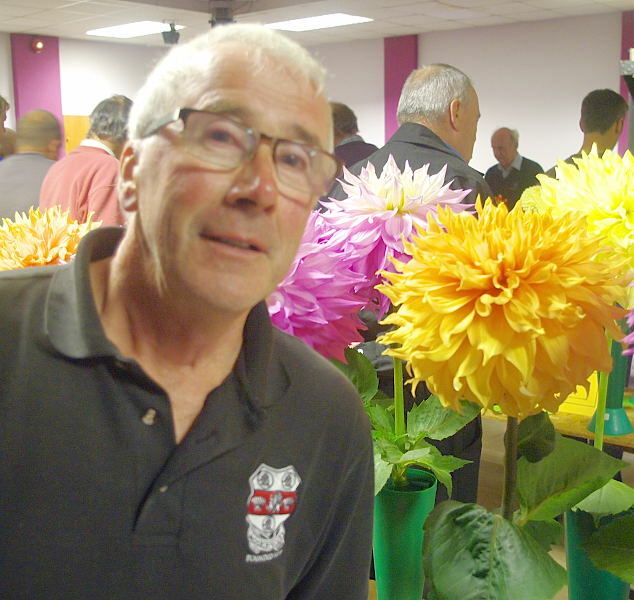 The Novice section saw an impressive set of blooms from new member Colin Pratley. 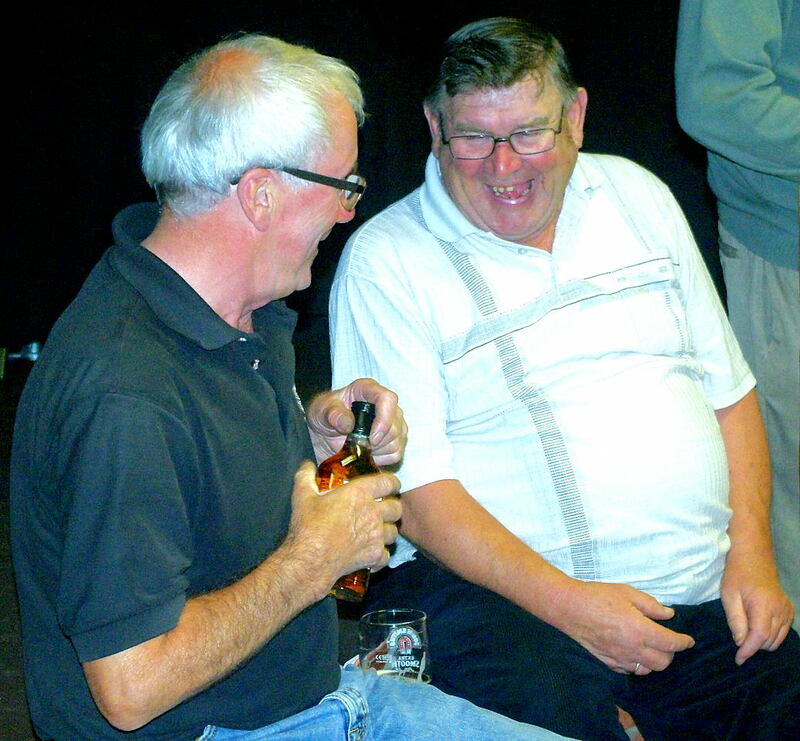 We thank Maurice Woodfield and Jason Smith for judging the show. Elaine Fenton, on a visit to the UK, managed to attend the show. 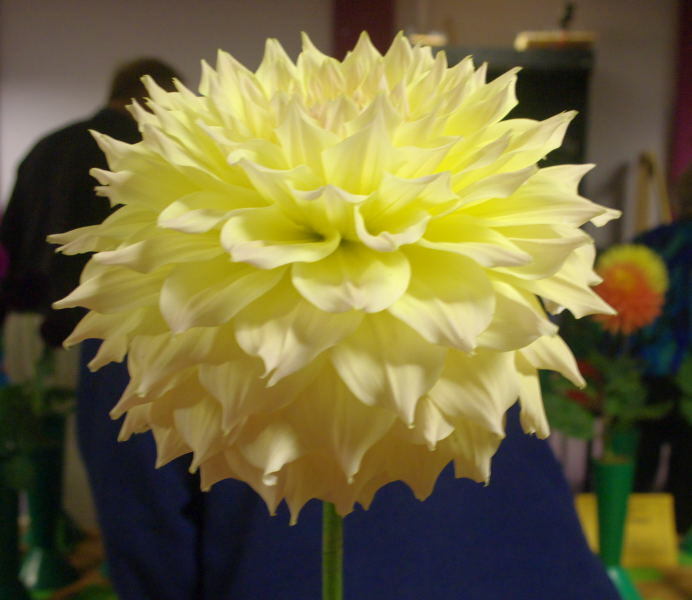 The Elaine Fenton Trophy is awarded in the Annual show, special classes for: Nine Blooms: Three Varieties Three Blooms of each Variety. 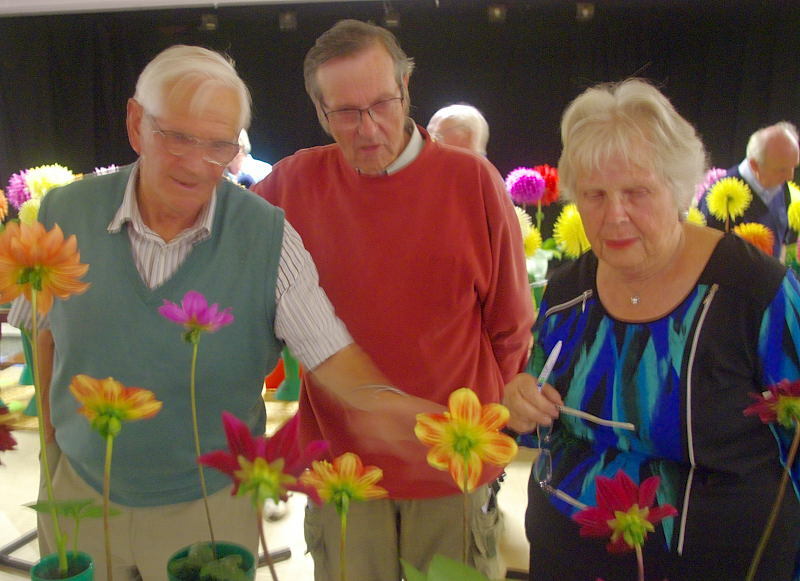 Below Elaine, accompanied by Les Jones and Dave Bates, take great interest in the blooms on show. Mark Williams wins Best in Show. Mark with his winning entry in Class 9, showing Barbarry Surprise. 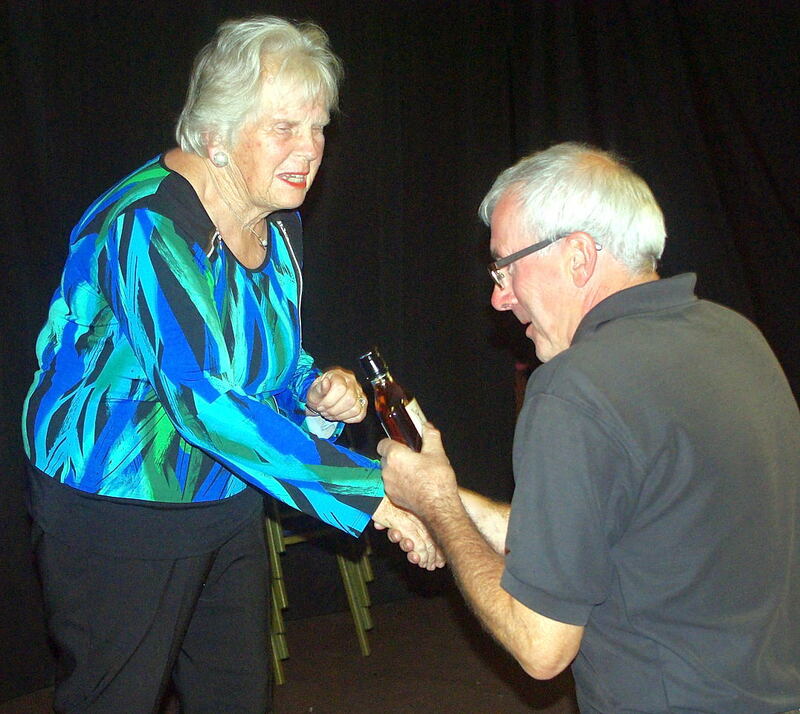 Peter Clubb won second best in show, being presented with his prize by Elaine. 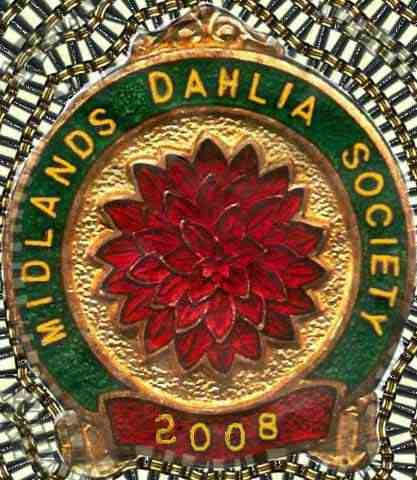 New member Colin wins a special Midlands Dahlia Society medal for best exhibit in the Novice Classes. 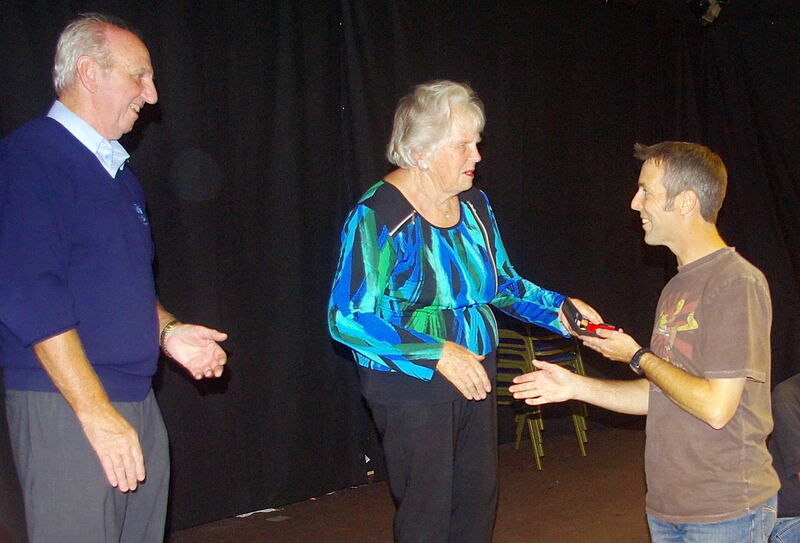 Below we can see Colin receiving his award from Elaine. 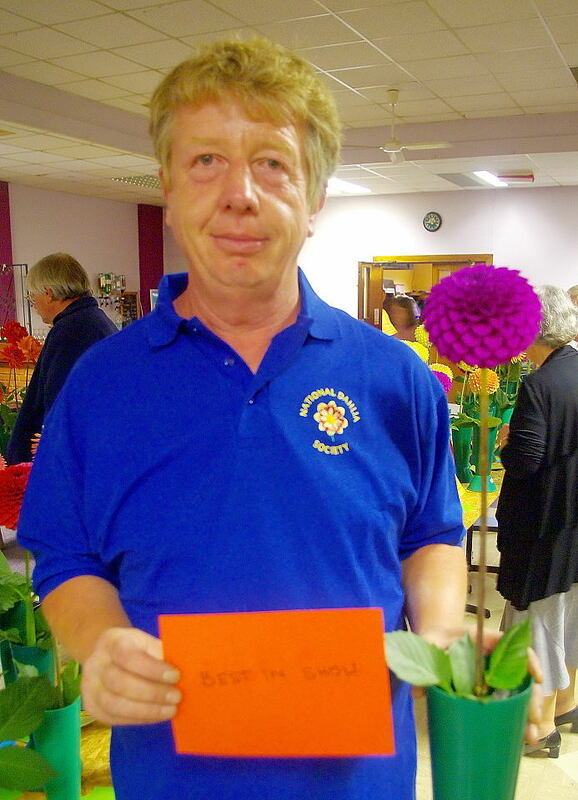 Picture below: Peter Clubb wins Class 1 showing Hamari Gold, coming runner up, best in show. Brian Caswell wins 1st & 3rd in class 4 with Trooper Dan. Colin Pratley wins in the novice classes. 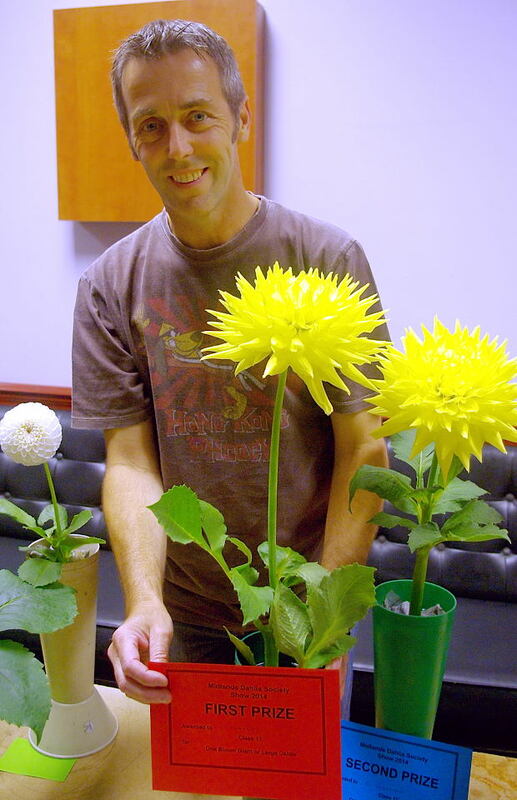 Having bought some plants at the plant sale, Colin entered the novice classes not really knowing how well he would do. 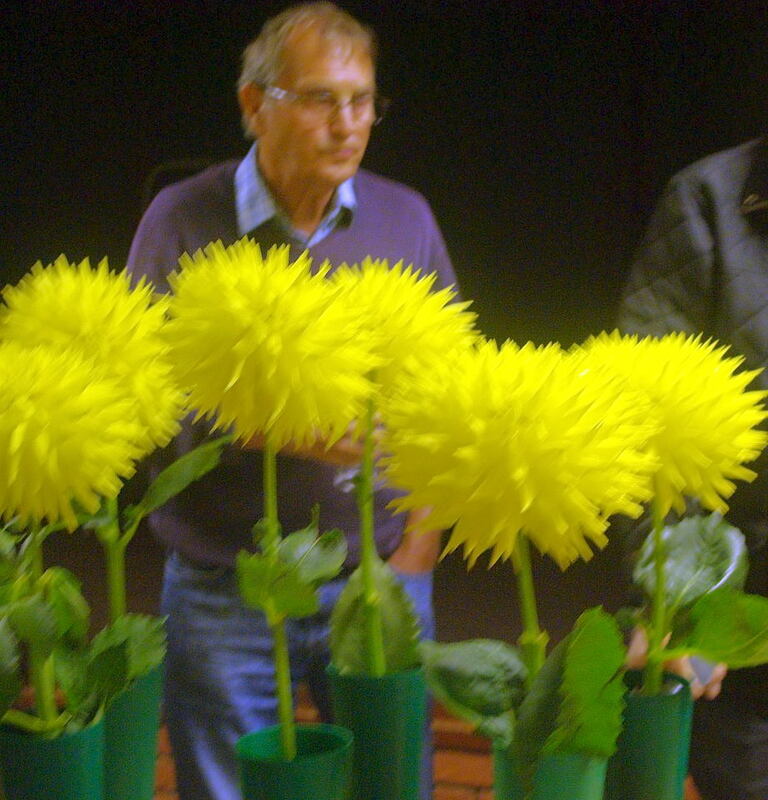 He won both Giant / Large and medium dahlia classes showing Janal Amy and Narrows Tricia.